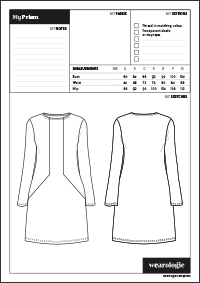 Step inside the world of fashion design with our style sheets. Files include English and French. 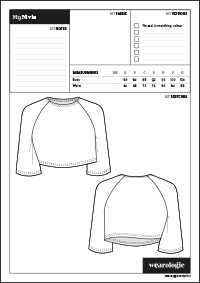 A comfortable raglan crop top designed for stretch fabrics. A comfortable and timeless dress made with stretch fabric. Aestiva is a trendy sleeveless vest. Available in two different versions, a short and a long one, the possibilities are endless. Conveniently organise all your beautiful fabrics with our handy print-at-home fabric tags. And say hello to a brand new tidied sewing room. Black Friday: Buy less, make more!